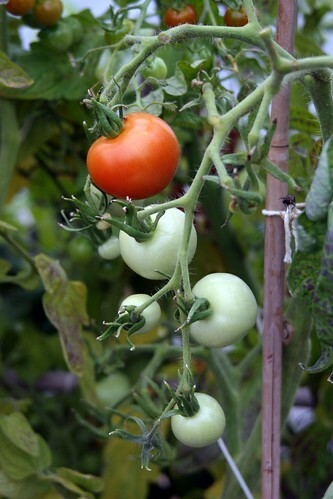 Many years ago, while helping my Grandmother tend to her vegetable garden, I noticed that she was removing random stems from her tomato plants. “I’m removing the suckers,” she said, explaining that if she allowed these little sprouts to grow, they’d eventually develop their own fruit. More fruit on each plant meant less nourishment for each tomato, and therefore, by removing the suckers, she hoped to get a higher quality yield. Recently, I’ve been thinking about suckers, but in the form of new social media channels (Foursquare, Pinterest, Instagram, Google+, etc…) that seem to be sprouting everywhere. Although each new channel offers new ways to reach audiences, each also comes with an additional cost–the fact that they all require fresh content. Content development takes time and effort, therefore, companies choosing to adopt new channels without assigning additional content-development resources are simply feeding suckers that draw nutrients away from their existing social media channels. Reduce the amount of social channels to match the social media team’s content development capacity. But alas, that’s not what appears to be happening in corporate-land. Instead of adding resources or reducing the number of channels, companies appear to be blindly adding new channels. Without the capacity to create new content, I’ve noticed a trend. These companies are choosing to spread the same content evenly throughout all of the company’s social channels. All social media channels need fresh content. Content takes time and effort to produce. Therefore, if your company can’t invest the time and effort required to create compelling content for each adopted channel, then it’s time to do some pruning. What social media channel are you willing to sacrifice so that others may prosper? Last post, Granularity and Innovation, we discussed the short and long-term ramifications of increasing the granularity by which we can measure things. We used the Green Button data from my Southern California Edison account to download energy consumption data and then made some extrapolations. The Green Button is one of the first steps in helping people make informed decisions about their personal energy usage. It is also the building block for entrepreneurs who will come up with innovative uses for the data, something that the Department of Energy decided to build upon by offering $100,000 in prize money for the most innovative uses of Green Button data. The winners of this Apps for Energy competition were announced last Tuesday, May 22nd. I found the breadth and depth of the apps refreshing, as each winner attacked the problem from a different and unique perspective. Challenged-based innovation is a way to tap into the collective wisdom of the crowd. It allows organizations to work with people who are passionate about a subject, as opposed to those who are only in it to meet the bare-minimum requirements of a contract. It’s a way to reach into the soul of the entrepreneur and more organizations should consider using it. Two technological forces have driven human behavioral change since the beginning of the 21st century: digitization (The Media Revolution) and distribution (The Network Revolution). For better or worse, these “revolutions” have become known colloquially as “social media” and “social networks” respectively. Rather than getting into a squabble over the ever-morphing definition of social media and social networks, I want to focus on the technologies responsible for each revolution: mediums (Yes, grammar police, I know) and networks. The Media Revolution ended on January 18th, 2012, when the worldwide poster child for physical media, Kodak, filed for bankruptcy. The end of the film-era demonstrated proof that our world had finally transitioned from one that stored its content in the form of atoms to one that now stores its content in the form of bits. The Network Revolution, on the other hand, is just starting to heat up. With search engines connecting our digitized content semantically, Facebook and LinkedIn connecting people through our relationships, and interest-based networks like Twitter connecting us through our favorite subjects, we’ve just scratched the surface on understanding how to distribute our digital content through them effectively. And while we hone our skills in the use of semantic, relational, and interest-based networks, a new network form is emerging from the primordial ooze of innovation–one that connects people with the information that they need to make daily decisions in their personal and professional lives. Citizen-based networks such as Safecast.org and the soon-to-be-built #AirQualityEgg network, allow individuals and Non Government Organizations to pool their resources to create valuable information for their communities, one sensor at a time. As GPS technologies become more prevalent, people can share anonymized information that may benefit the collective. For example, by combining my GPS location with that provided by others, mobile applications such as Waze can provide a real-time picture of traffic congestion, ultimately helping all of the participants make better informed routing decisions. Or, have you ever tried to plan an event around a weather forecast such as, “There’s a 20 percent chance of rain today?” By combining your GPS location with a National Weather Service map, DarkSky can accurately predict the moment that it will start (or stop) raining in your exact location. Through wireless connectivity within my house (Wifi, Bluetooth, and soon-to-be ZigBee), I can connect my bathroom scale, blood pressure cuff, and refrigerator to my private network to track my svelte build (well, okay let’s not push it), systolic and diastolic measurements for my doctor, and check my refrigerator before I leave work for a list of things that I need to pick up on my way home. The network infrastructure exists. The cost of connecting sensors to the network is plummeting. The combination of these two forces requires companies to start asking some serious questions. How can our ability to tap into sensor-based networks help create new products and services, fund their development, and ultimately deliver them to our customers? How can we harness the scaling power of networks to make our companies smarter, leaner, and much more efficient? How can we use the power of network technologies to reduce whatever form of waste exists in our business processes (money, resources, environmental contaminants) in order to increase the overall health of our company, finances, employees and local communities? The Media Revolution is over. Bits have beaten atoms and our behaviors are forever changed. However, the Network Revolution is beginning to pick up steam. How will you use the creative destruction that it’s about to unleash upon the status quo?